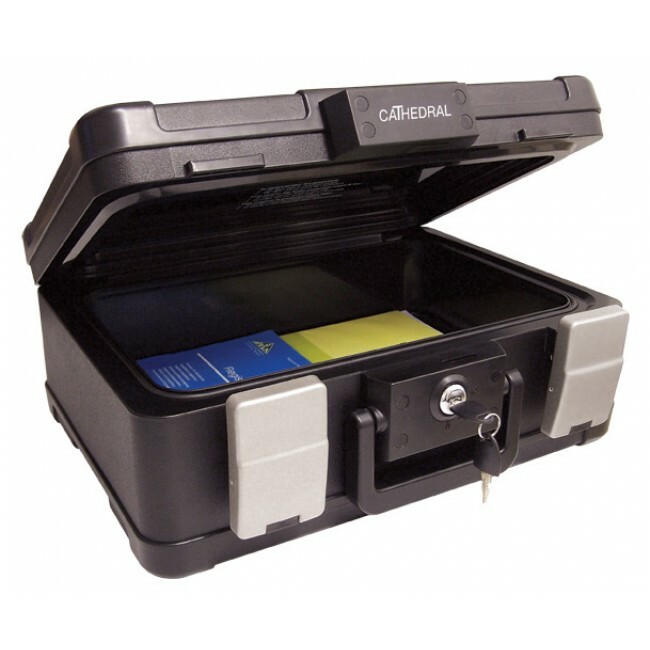 The DSBA4 Fire and Water resistant security chest takes A4 documents without folding and protects them up to 840 degrees for 30 minutes. 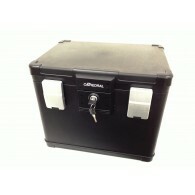 The chest has a capacity of 7.3 litres and is fully waterproof even when fully submerged. It has a key lock for added security and a sturdy carry handle. Interior dimensions: 339mm wide x 216mm deep x 99mm high.